Horror Sci-fi and More! : SUBLIMINAL FILMS ACQUIRES HILLBILLY THRILLER "TUFTLAND"
SUBLIMINAL FILMS ACQUIRES HILLBILLY THRILLER "TUFTLAND"
Subliminal Films has acquired Finnish hillbilly thriller TUFTLAND for US distribution, and has provided a series of new posters in anticipation of a March 1 theatrical release. The debut feature from NYU graduate Roope Olenius, TUFTLAND concerns headstrong textile student Irina as she accepts a summer job offer from the isolated and self sufficient village of Kyrsyä, only to quickly realize that the offbeat hillbillies who inhabit the small town aren't as harmless as they may seem. The film, shot on location in the Finnish backwoods, is noted for its controversial and provocative blend of feminist themes, arthouse refinement, and slasher tropes. TUFTLAND is adapted by Olenius from the stage play ‘Kyrsyä’ by Neea Viitamäki, and stars rising Finnish actresses Veera W. Vilo and Saara Elina across from Miikka J. Anttila, with Olenius, Vilo, and Anttila serving as producers. The acquisition was negotiated on behalf of the filmmakers by sales agent Marco Magni of Euro Obscura. 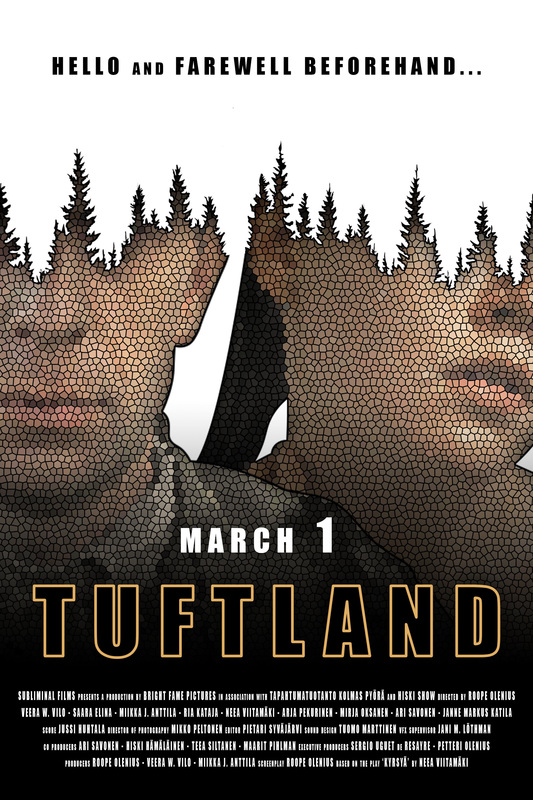 Subliminal Films, the startup distribution label behind the campaign, will release TUFTLAND in limited theaters and across all major VOD platforms on March 1.